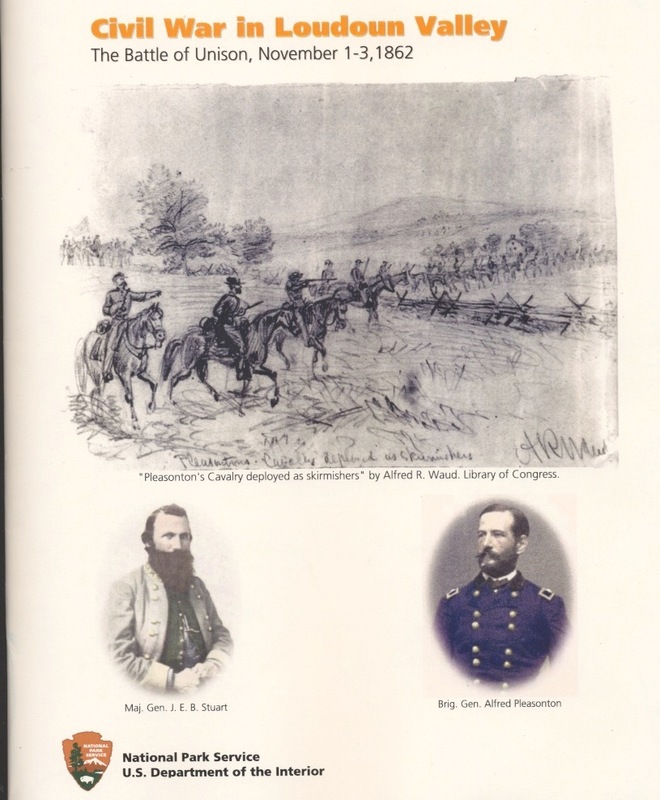 The new National Park Service history and mapping of the little known three-day Civil War Battle of Unison has just been published by the Unison Preservation Society. The history, funded by a 2006 federal grant to the Unison nonprofit group from the U.S. Department of Interior, confirms that the 1862 battle around Unison was far more important than previously thought. And it has led to a second federal grant this summer, this one to help place the Unison Battlefield - stretching eight miles from Philomont to Upperville - on both the National Register of Historic Places and the Virginia Landmarks Register. The 52-page history of the battle is illustrated with color maps showing the details of the three-day battle, historical woodcuts and drawings, period and contemporary photographs and a copy of Lincoln’s letter to Maj. Gen. George McClellan laying out the strategy that led to the battle. Lincoln’s planned thrust through Loudoun County was designed to cut off General Robert E. Lee’s Army of Northern Virginia from its capital in Richmond and possibly hasten the end of the Civil War. But a small Confederate force under Maj. Gen. J.E.B. Stuart delayed the advance of the much larger Union Army for three days around Unison, foiling Lincoln’s plan and allowing the Confederate Army to es-cape the trap. Lincoln immediately removed the popular McClellan from command. It was a highly publicized and nationally controversial action, comparable to President Harry S. Truman’s removing the popular Gen. Douglas MacArthur from command in 1951 during the Korean War. The mapping and history of the Nov. 1-3 Unison battle were done by National Park Service historian and cartographer David Lowe and funded by a $20,000 grant from Interior’s American Battlefield Protection Program (ABPP). Based largely on this new report, the ABPP has just awarded a second federal grant of $34,660 to the Unison Preservation Society to help place the battlefield on state and national registers. 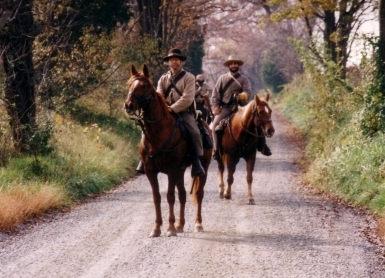 It is one of 32 federal grants in 2008 to preserve and protect the nation’s battlefields. The new history of the battle is $27.50 which includes postage and handling. All proceeds go towards preservation efforts in the battlefield. Phone: 540-554-8877 ~ e-mail: mdiamond9@earthlink.net. The Unison Preservation Society is a not-for-profit organization.